Along with accusations that I am the real author of Radio Paranoia, or that Guise Faux is my "sock-puppet", they have been demanding "proof" of this or that other thing, and denying the validity of everything already published. JTA in particular seems to have learned well one of the prime tactics of Nixon, whom he 'couldn't believe' was a crook, "Deny, Deny, Deny". As I stated to him via Email, I'm quite convinced he would refuse to acknowledge whatever proof was produced, no matter how iron-clad; if we had Pat Murphy's finger prints all over a 'murder weapon', he would then demand DNA evidence-- and if we had DNA evidence, he would claim it was somehow compromised. Perhaps he missed his calling; perhaps he should have been a criminal defense attorney defending very obviously guilty people-- instead of... well, whatever he actually was. dated previous to the publication of the Doc John-"BobSmith" email exchange. 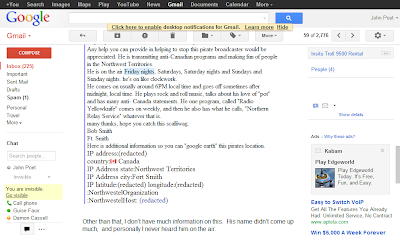 So, it is not for JTA's or Pat's sake that I am producing some screenshots of the Email in question, but for the sake of better illustrating the reporting already done, for the pirate radio community-at-large. Sorry, Mr. Arthur, you won't be getting what Pat is after... not from me. 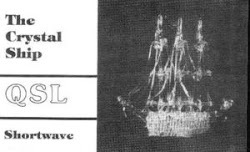 It is unfortunate that we will probably never be able to obtain the kind of "smoking-gun proof" regarding the FCC action against The Crystal Ship that would irrefutably prove the case I have sought to make (although that does not mean that all efforts will be abandoned). However, we do have quite a bit of "evidence"... and there is such a thing as the "preponderance of evidence", and that is very obviously on my side of the matter, to any fair-minded observer. "JTA insinuating himself into this dispute back in April was a bad move to begin with. It's a no-win situation for him. He's defending the indefensible at the cost of his own credibility." 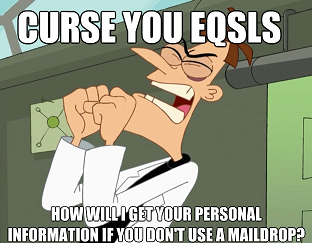 Indeed, it seems that with every passing day, with every additional purported or attempted "outing" of the personal information of various pirate operators and listeners by 'Commander Murphy', the "preponderance of evidence" of Murph-Bunny publicly acting-out his deep character flaws tend to remove any remaining doubts that he also played some role in the demise of The Crystal Ship. 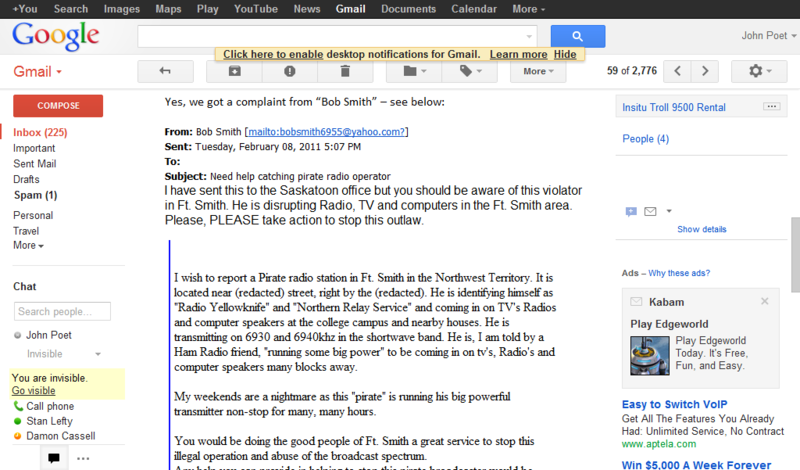 However, there is evidence which is much more direct, to show Murphy's sneak-snitch attack against Radio Yellowknife/Northern Relay Service. 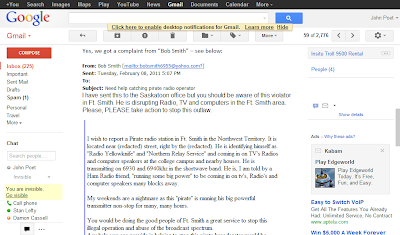 Screenshots of the "BobSmith" Email to Y.A.R.S. In order to protect sources from the kind of harassment that I and some others in the pirate community have endured, parts of the Email have been obscured by "strategic scrolling", or "redacted"-- mostly the top and bottom: the name and email address of the person who obtained the copy of this email, the person at the radio club who dug it up for them, and certain purported details about Doc John/NRS which the originator, BobSmith6955@yahoo.com says that he had already "sent to the Saskatoon office" (of the Canadian radio authorities). Gmail users will note the empty space in the right-hand column where the senders' email address usually appears, which I have clipped from the screenshots. Current or former users of YAHOO-Mail may note the blue line on the left, which indicates the text of the Email that "BobSmith" was forwarding to Y.A.R.S., along with his added note at the top right after the sender's address, BobSmith6955@yahoo.com.
" Delivered-To: northernrelayservice@gmail.com Received: by 10.147.136.17 with SMTP id o17cs108031yan; Wed, 9 Feb 2011 03:52:32 -0800 (PST) Received: by 10.150.197.17 with SMTP id u17mr1598406ybf.25.1297252351376; Wed, 09 Feb 2011 03:52:31 -0800 (PST) Return-Path: Received: from nm12.bullet.mail.sp2.yahoo.com (nm12.bullet.mail.sp2.yahoo.com [98.139.91.82]) by mx.google.com with SMTP id w42si536172ybe.20.2011.02.09.03.52.29; Wed, 09 Feb 2011 03:52:30 -0800 (PST) Received-SPF: pass (google.com: best guess record for domain of bobsmith6955@yahoo.com designates 98.139.91.82 as permitted sender) client-ip=98.139.91.82; Authentication-Results: mx.google.com; spf=pass (google.com: best guess record for domain of bobsmith6955@yahoo.com designates 98.139.91.82 as permitted sender) smtp.mail=bobsmith6955@yahoo.com; dkim=pass (test mode) header.i=@yahoo.com Received: from [98.139.91.65] by nm12.bullet.mail.sp2.yahoo.com with NNFMP; 09 Feb 2011 11:52:29 -0000 Received: from [98.139.91.57] by tm5.bullet.mail.sp2.yahoo.com with NNFMP; 09 Feb 2011 11:52:29 -0000 Received: from [127.0.0.1] by omp1057.mail.sp2.yahoo.com with NNFMP; 09 Feb 2011 11:52:29 -0000 Received: from [173.71.152.9] by web110002.mail.gq1.yahoo.com via HTTP; Wed, 09 Feb 2011 03:52:28 PST X-Mailer: YahooMailClassic/11.4.20 YahooMailWebService/0.8.108.291010 Date: Wed, 9 Feb 2011 03:52:28 -0800 (PST) From: Bob Smith Subject: Whats up? To: northernrelayservice@gmail.com "
A location in Newport News, Virginia is indicated by this I.P. location website (although some may report it as "Norfolk" or other nearby towns). Previously, no published information has directly linked this I.P. address to 'Pat Murphy'. We are going to document that direct connection here and now. 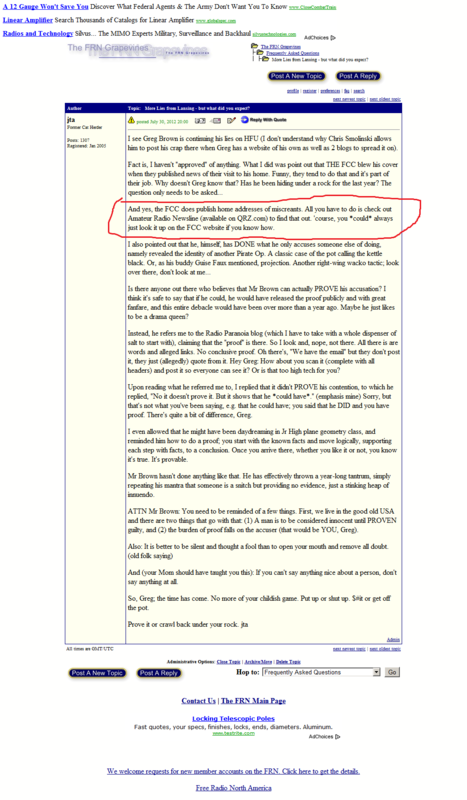 As owner/operator of the Free Radio Cafe forum, I created specific rules against "sock-puppeting" at its founding-- in a direct reaction to Pat Murphy/Commander Bunny's rampant sock-puppeting on the FRN website which has been documented ad nauseum. 'Pat Murphy' was among the group who signed into the Free Radio Cafe within a week of its unveiling in late May 2011. 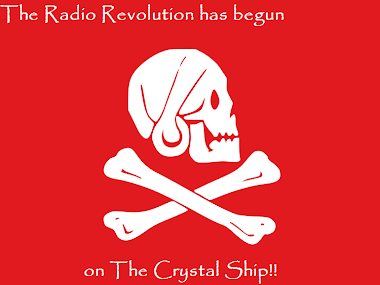 In July 2011, after the FCC visit to The Crystal Ship, but before that visit became public, "Lovemyradios" was signed in to the FRC. This ID was previously used on the HFU and the FRN, and long suspected of being a Murphy sock-puppet. 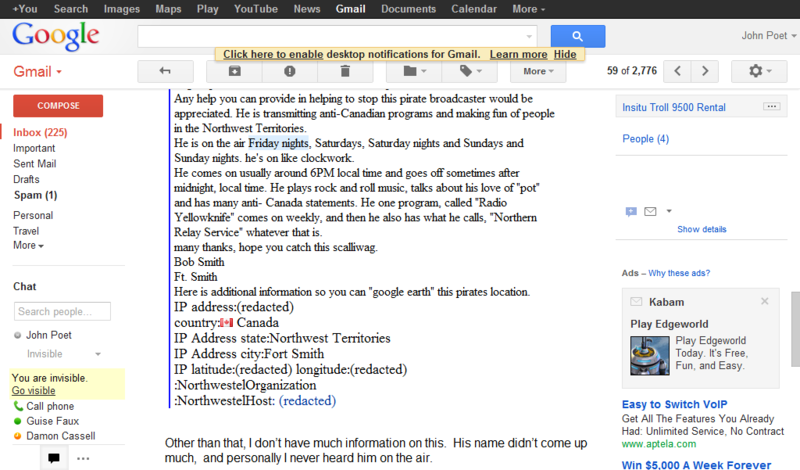 An email conversation between this person and myself ensued, which I previously alluded to in the post about the TCS bust, wherein "Lovemyradios" attempted to get specific schedule information for TCS out of me-- much the same way as 'BobSmith' tried to get it out of Doc John, all the while pretending to be the operator of the famed 70s-80s pirate 'Radio Clandestine'-- the same narrative given to someone else by yet another sockpuppet who had been active on HFU and copy-pasted the same loggings onto that site as the known Murph-Bunny sockpuppet, "Beans", had posted on the FRN! (One of these days I must get around to publishing that whole email exchange-- so much yet to blog, and so much writer's block...) Anyway, all that and a few other things made it very clear that "Lovemyradios" was actually "Pat Murphy" aka "Commander Bunny", and that he had blatantly violated the FRC's rules very clear prohibitions against sock-puppeting by signing in under both names. I allowed it, for a brief time, in order to see where he would go with it. 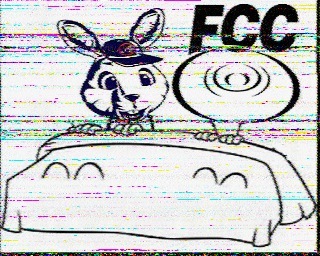 An SSTV image posted in HFUnderground loggings. 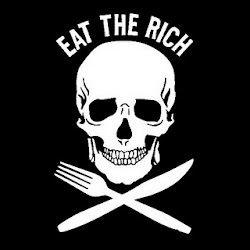 precisely the same as the I.P. used to send emails from BobSmith6955@yahoo.com to NRS! Of course this will be no big surprise to many of us-- but it is the first time 'Pat Murphy' has been placed directly into the 'BobSmith' email box with any kind of real documentation. At the time I saved this only as a text file, I expected only to refer to this information to try to prevent further Murphy sock-puppeting on FRC-- and had no expectation that there would ever be a need to publish it, or attempt to "prove" anything with it-- so I failed to take a screenshot at the time. (Indeed, I wasn't yet in the habit of taking screenshots of anything.) And, since 'PatMurphy's FRC membership was ultimately deleted for violation of our sock-puppeting rules-- I can no longer access the information to take any screenshots now, as his membership no longer exists... unfortunately, or as JTA would probably say, "conveniently". Well, that is patent, blatant, mis-directive nonsense! 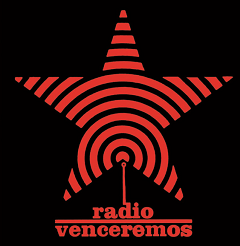 I have made a public committment to protect the personal information of the users on the Free Radio Cafe, be they pirate operators or simple DXers, and I will keep that commitment. But, as for everyone else, unless you personally set out to match the crimes committed by 'Pat Murphy' and his horde of sock-puppets-- a task which really does not seem humanly possible for anyone else this side of sanity to ever duplicate--- then, you have nothing to worry about! JTA Joins "The Proven Liars" Club! So, JTA seems to have fallen into Pat's tactics which he used in the Artie Bigley accusation: keep repeating the lie, even if its easily disproven elsewhere. That way--- well, I fail to see any advantage in making yourself look silly, and proving yourself a liar "right out in front of God and everybody". But that is what Pat, and now JTA, have done. But, like JTA says: anyone can look it up on the FCC website.... so, why don't we? As anyone even mildly literate who isn't *visually impaired* can see, there is no street address of mine posted on either version of this document-- only the name, city and state. A Demonstrably Proven Liar! Congrats! (As you probably know, your pal 'Commander Murphy' began posting various versions of my street address within 48 hours of the publication of my 'Notice of Unlicensed Operation', on his WBNY blog and continued it for months and months on end; and in our recent email exchange, you repeatedly refused to say that you had any problem with that whatsoever. Your later posts on the FRN seem to take the same position. Attempting to either confirm or discard one of your claims (since you didn't bother to post any of that "proof" which you so readily demand of others, in this case a simple web link), I wasted quite a bit of time *searching* over the 'Amateur Radio Newsline' and QRZ.com sites you claim had reposted my address from published FCC information, hunting for my name or address, and couldn't find a blasted thing about me. In fact, the only pertinent street address I could manage to search out.... was yours. *busted* for holding an Amateur Radio License! ...and so does his sock-puppet! We'll continue the experiment with open commenting. Please just keep it relatively clean-- lest I be forced to chastize you! Well done, Mr. Poet... umm... Guise... uh... corq... ahh... Commander Buttmunch (aka, the Man of Many Feces)... ummm, who am/are I/you/we this time? I knew, that JTA was a liar and a fraud. But, he was a ham as well? That shouldn't surprise me. After all, he has been nothing but a Meat Puppet for years! Also, kudos to the continuing exposure of the tomfoolery of a certain Commander Murphy (and his sock puppets), who continues to attempt to make Free Radio his own private playground. It seems to me that anyone stupid enough to have an amateur license and be involved in pirate radio DESERVES to have his name and address exposed on forums and blogs. After all, the information is already publicly available. 'Kay, too devious maybe, but public info is public info. 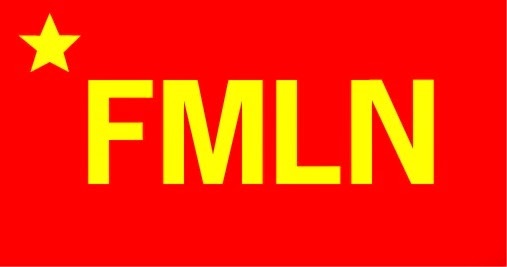 The FRN is dead ! Long may it be dead ! Man you've been doing your homework . Great job Poet ! Out of the blue, someone contacted me to ask my opinion about possible "Pat Murphy" sock-puppet activity on a non-pirate radio site, dcrtv.com out of Washington D.C. So I did a little searching through their "mailbag" and "rants" sections, and ran into a few gems. "Pat Murphy is a Radio God"-- who just said that? So... not only does Pat have the strength to keep posting those "Commander Bunny" blarg-rants-- he's also busy ranting on this and possibly other sites local to the Virginia/DC media markets at the same time... and spiritedly noting that he's "not dead yet". That's good to know, Pat, good to know! If you were, WTF would we do for entertainment of this stature? He promised to come by my house in the morning in his Bunny suit. I hope the neighbors dogs don't spot him? That would be real entertainment. 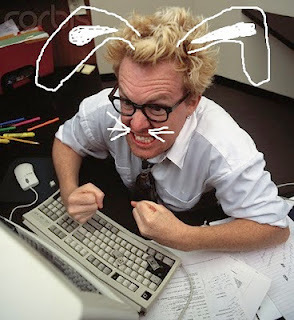 Well...... the morning has passed and no old coot in a bunny suit has showed up. Maybe he's working on his blowgun technique?